Specially designed for people who just want to get a taste of kiteboarding, or don’t have enough time to complete a full course. All the gear needed are included. Rescue service and the gear needed are included. In rare case of no wind there are many alternative activities to do here, such as PADI scuba diving, stand up paddling, down winders, canoe, kayak, snorkeling dives, wakeboarding, boat trips and much more. 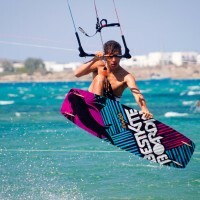 Our Kite boarding Center was the first IKO approved school in Greece with the finest and most experienced IKO qualified instructors. 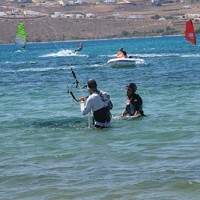 The kite school strictly follows the IKO teaching standards and conducts kite boarder levels 1, 2 and 3. Our qualified instructors certify the level of our students with the IKO kite boarder card. 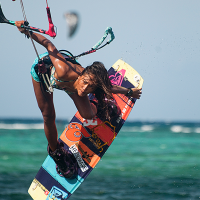 Official Best Kiteboarding, Nobile Kiteboarding and O’Neill distributor for Greece. ParosKite, is the official distributor and official test center of Best Kiteboarding and Nobile Kiteboarding brands in Greece. We have the full range of the very latest equipment including kites, control bars, boards and accessories from Best and Nobile. 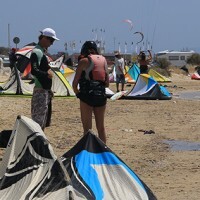 We have several kites and boards which you can demo, i.e. try before you buy. We also stock accessories from Dakine, therefore we can put together the perfect, complete, kiteboarding package tailored entirely for your style and ability.